According to the Miami Herald, earlier this year (in July of 2017), the city of South Miami passed an innovative law which requires new homes being built to have solar panels. In recent solar news, South Miami is getting a good amount of attention for going solar. 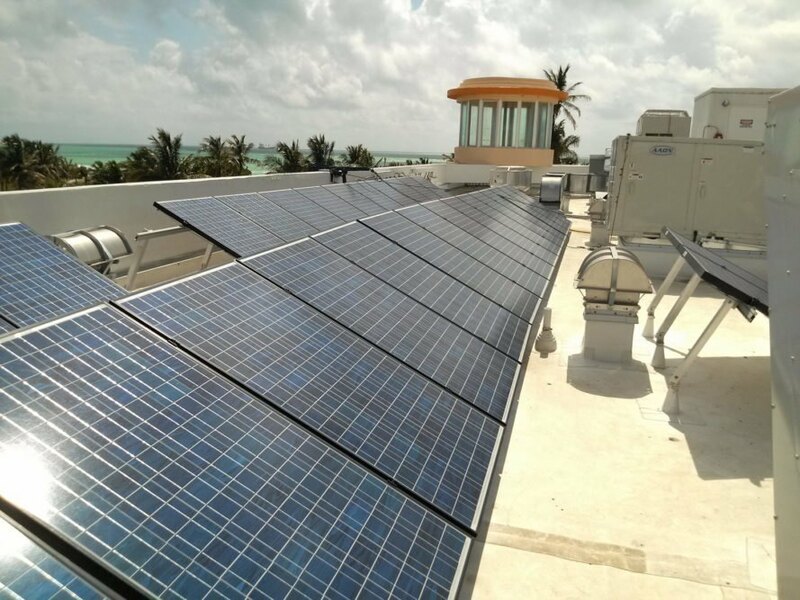 The South Miami, Florida area is highlighting how important solar panels are, and how they can be utilized to make a positive difference in terms of the environment and electric bills. A revolutionary law went into effect in September of this year, which has recently brought South Miami to the center of the latest solar news. According to the Miami Herald, earlier this year (in July of 2017), the city of South Miami passed an innovative law which requires new homes being built to have solar panels. This law is applicable to homes undergoing renovation, too. This ordinance regarding solar panels went into effect this summer after passing 4 to 1. With regards to the solar panels, new home construction will necessitate 175 square feet of solar panels to be set up for every 1,000 square feet of roof area that is lit by the sun. The solar panels could also be installed at 2.75 kw for every 1,000 square feet of living space – it would just depend on whichever scenario is less. A good question which has come up is: what if the home is built under trees and doesn’t get enough direct sunlight? What if there is too much shade for solar panels to be effective? The answer is that the home might be exempted as a result of the shade. Clearly solar panels are efficient, but that doesn’t mean that solar panels are fitting for every property. In relation to home renovations, when 75 percent or more of the structure is being replaced, or if the structure is being extended by more than 75 percent, the rule regarding solar panels will apply. An individual taking advantage of solar panels and other forms of solar power is Philip Stoddard, South Miami Mayor. He also works as a biology professor at Florida International University. He runs his home utilizing solar and takes it a step further by driving an electric car as well. Using solar panels and other forms of solar energy has revealed tremendous savings – as a matter of fact, his electric bill each month comes to approximately $10 – this is relatively unheard of in the sunshine state, where it isn’t a far-fetched notion to see an electric bill for a small, 900 square foot home in the ballpark of $200 per month. Clearly, solar offers a great deal of benefits to individuals and to the planet. The importance of creating jobs can’t be disputed, and solar allows for the creation of many employment opportunities. Having a safe, clean planet for the future is critical. Still, there are those who disagree with the new solar panel ordinance – even though their lack of agreement doesn’t necessarily have anything to do with the potential benefits of going solar. Commissioner Josh Liebman, for instance, dissented to the innovative solar panels ordinance. He claims that he isn’t against solar, but rather is supportive of the freedom to choose when it comes to the residents of South Miami. He expressed concern over the notion that approximately 7 percent of the budget for the city comes from fees which the utility pays directly to the city. The law regarding solar panels had been approved by the commission back in June of 2017, however, it was tabled later in the month in order to ensure that the new regulations were consistent with Florida’s building code. Interestingly enough, the ordinance regarding solar panels on new homes and home renovation projects was inspired by a teenager, who was able to take advantage of the opportunity to help in putting the solar panel ordinance together. As per Inhabitat, Delaney Reynolds was only 16 years of age upon learning about the measure in San Francisco requiring the installation of solar panels on new buildings that were up to 10 stories tall. Reynolds was moved by this idea, recognizing the significance of solar panels and solar energy. She believed that it would be feasible for cities in Florida to follow suit. The inspirational teenager began a nonprofit known as The Sink or Swim Project which was created to fight climate change. She decided to write to those in authority all over South Florida, as per InsideClimate News. Philip Stoddard was the first person who replied, and requested that Reynolds assist in writing the ordinance on solar panels. Stoddard knows that this measure regarding solar panels won’t end up changing the world, as just 10 new homes are built per year in the area. However, he believes that the idea could spread, as officials in places such as St. Petersburg and Orlando have demonstrated an interest in solar panels. The more that people are made aware of the benefits of solar, the more they are inclined to want to go in that direction. As prices end up dropping, solar becomes even more desirable. As per the Solar Energy Industries Association, over the past five years, prices for solar panels in Florida have seen a decrease of 64 percent. South Miami is the first city in Florida to mandate the installation of solar panels on new homes which aren’t built under trees with an excessive amount of shade. Clearly, Florida Solar Energy Industries Association is committed to solar energy. Here are some of the interesting statistics mentioned on their website: solar employment saw an increase of more than 51,000 employees, as per the Solar Jobs Census 2016 – this is an increase of 25% over 2015. In 2016, there were more than 260,000 solar employees, with many of those jobs focused on the benefits of solar panels. Since the release of the first National Solar Jobs Census back in 2010, the solar industry has seen employment almost triple. Undoubtedly, the solar industry is becoming very popular. Florida Solar Energy Industries Association highlights how Sarasota County, for example, is sanctioning a state authorized program which will allow property owners to pay for improvements (for instance, solar panels and hurricane shutters) with annual valuations on their property tax bills. Manatee County just might follow suit. Clean energy and the benefits it offers is something which is spreading all over Florida (and across the rest of the world). Mike Bennett, the elections supervisor for Manatee County, assisted in the passing of a statute when he served in the state Senate which lets local governments adopt a Property Assessed Clean Energy (PACE) strategy. At the time, commissioners for Manatee were unable to vote, but they did show an interest in moving the PACE program forward. It is indisputable that solar is the direction in which our entire country (and hopefully the world) is headed. Not only are solar panels becoming more popular in South Miami, but the notion of going solar is spreading in other areas, too. Follow the latest solar news to stay on top of the latest happenings in Florida. There are sure to be even more interesting stories on the horizon with relation to solar news in Florida. Solar is the way of the future, and Florida is demonstrating that it is in fact an innovative state with an interest in solar energy! Solar panels becoming a requirement for new home construction and home renovation projects is only the beginning.